62 W's and 7 L's at home record last 5 years. I'm guessing that is why none of the P5 teams play there. ...or the record is that good because none of the P5 teams play there. Someplace in between is reality. If we don’t guard it won’t be close. If we attack the rim we have a shot. Shot selection will be key. Seniors need to act like seniors in that regard. I think this team is more talented and hungrier than last years team. I think we get it done. 21-5 in non-con games during that span. One notable win against Vandy, other than that nobody overly impressive. Great game on the Road. Let's b real here - if we R good/prepared, we win! We've been yappin about all this talent and I am on board with that. Key - b the sr. Leader and QB of this group. Nothing silly - just play your game and B smart. Your rust is off now. William - no time for cleaning your pants out when the lights go on with your shot. Do your thing while dropping a few shots. Phil - make your free tosses. No silly fouls as we don't have the depth for that. MY - U the man!!! no turnovers with the left hand dribbling in traffic and overpassing to your bud, PF. All - do what you do well and for goodness sake, play some smart D.
Heiner/the Gass - play within yourself and we come home a WINNER. hit the boards and guard. If we lose we don't deserve an at-large. WoW? Lose to an OVC team we shouldn't sniff an at-large. That’s a ridiculous take. Stop being soo dramatic. It’s game #2 against a very good team. A team that has been good for awhile. It’s not like we are playing Eastern Illinois. 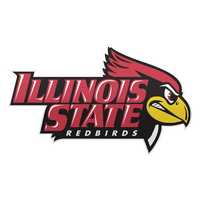 I just want each Redbird to keep their head in the game. Continuity is the key. I find it weird how difficult this team can go from Focused to StandingAround. This issue has been the same for more than a decade. From the stats of various games this new season, DUKE is the team that keeps their eye on the prize. This will be a disgusting basketball year if Duke is really really as good as their first game. I like this! Simple and to the point but pretty accurate from my perspective. And I like the name "Heiner." Hehe. If we lose I say Muller and the Larry's will be fired by Monday and ISU will move down to D2 where we can finally compete. I say we throw Buffalomeat on the trip and let him introduce himself to Nashville and the Belmont boys in the post. for goodness sake, play some smart D.
Truth! Gotta stay disciplined and focused on D! Don't get caught watching the paint dry. I don't care what conf they are in, last 9 years been to the NCAA Tourn 4 times and 3 to the NIT. Id take of 4th of that! I know man!! It's a great recipe for success and late season EXCITEMENT. Makes me think we're in the wrong conference. Belmont's a class program and I admire 'em but I'd love to take that class and shove it up their ... well, you know. In a gentlemanly sportsman sort of way. I needed this scorching hot take after looking outside and seeing snow.